The Race continues as teams depart Auxerre on a train at sunrise to get them to their next destination city, Strasbourg. 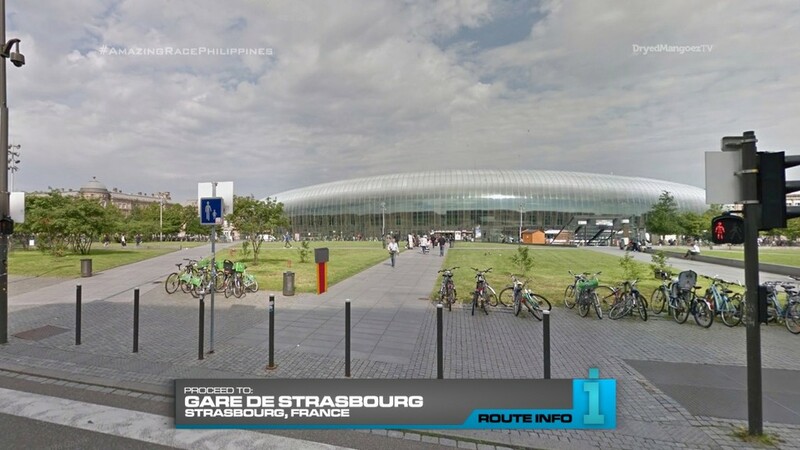 Arriving at the Gare de Strasbourg at 9am, teams must search outside the train station for their next clue. 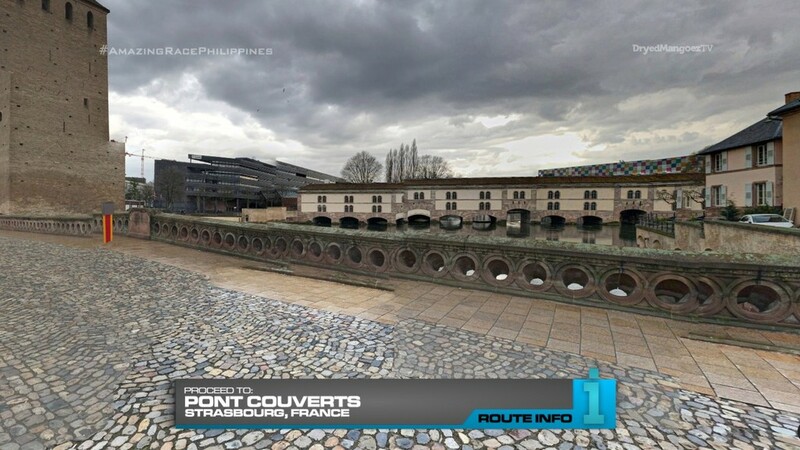 That clue directs teams to make their way on foot to Pont Couverts where they will encounter the 2nd Duel Duel of the Race! Three teams at a time will face off to save their teammates. 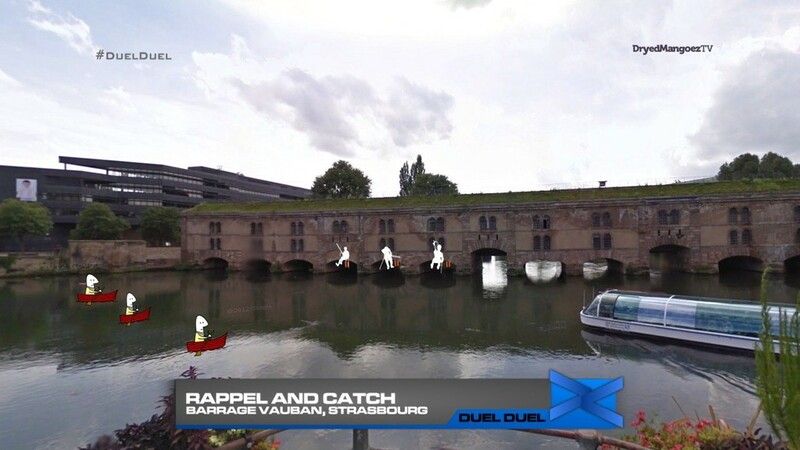 For this Duel Duel, one team member from each team will rappel off the rooftop of the Barrage Vauban. They must maneuver themselves under one of the arches to retrieve a Race flag. Once they have retrieved a flag, their teammate will be able to row themselves to them. Once the teammates have been reunited in the boat, they must row themselves back to shore. The first team to present their flag will win the Duel Duel and receive their next clue. The two losing teams must go to the back of the line. The last two teams will then have a final Duel Duel. The very last team will have to wait out a 15 minute penalty before continuing. 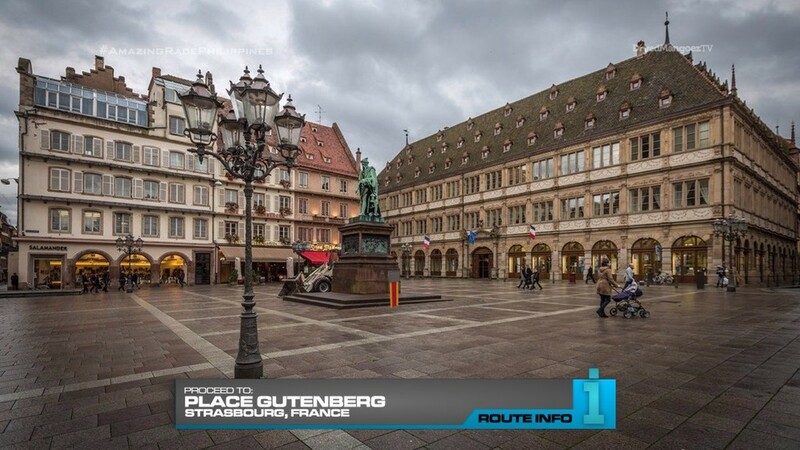 After the Duel Duel, teams must make their way on foot to Place Gutenberg where they will find the Road Block: Who is the type to get things right? 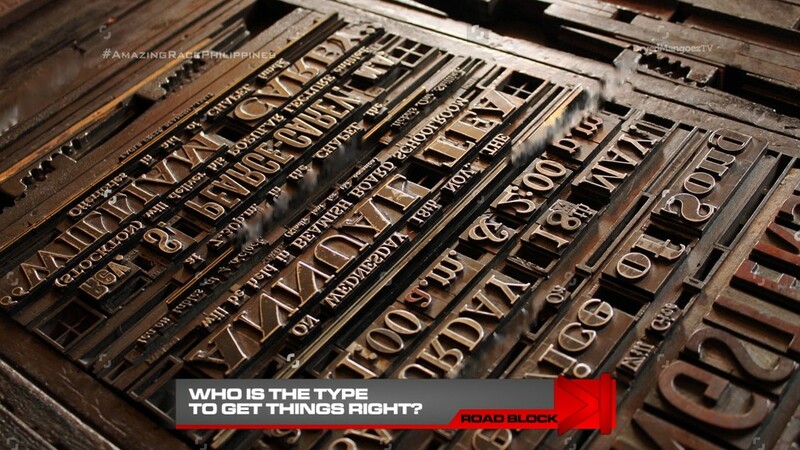 For this Road Block, teams must assemble a traditional Johannes Gutenberg printing press and use it to make a print of a provided clue. Once they have correctly set up the print with the correct letters and in the correct positions and the page is readable, they will receive the next clue. For the non-eliminated team from last Leg, they will be encountering the Hazard! 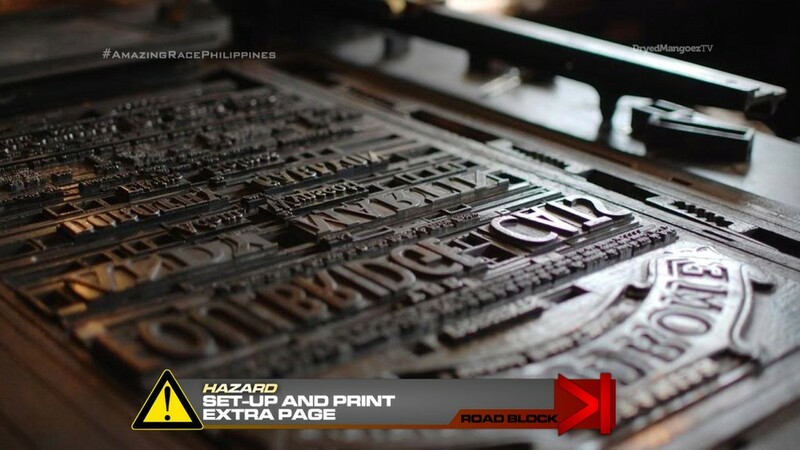 For the Hazard penalty, that team must set up and print a 2nd, different clue on the printing press. 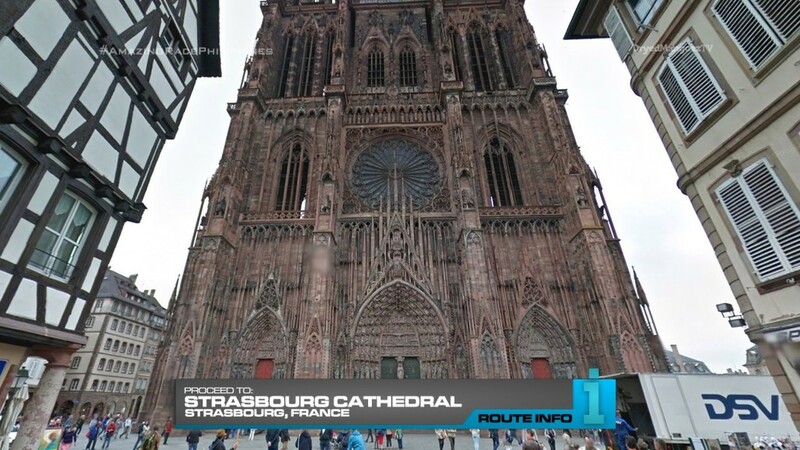 After the Road Block, teams must make their way on foot to Strasbourg Cathedral. 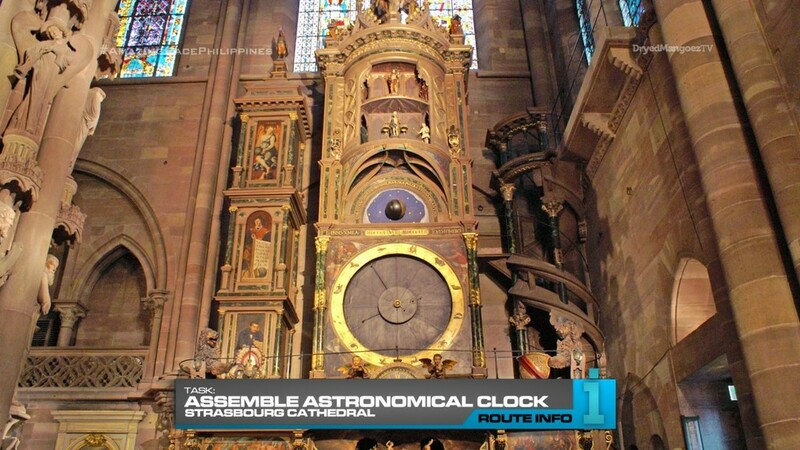 Here, teams must assemble a miniature replica of the Cathedral’s astronomical clock and make it work to receive the next clue. That clue reveals the Detour: Christmas Carry or Elaborate Engravings. In Christmas Carry, teams must fulfill eight bretzel orders and deliver them to different locations using wooden sticks and wired bundles according to the order. 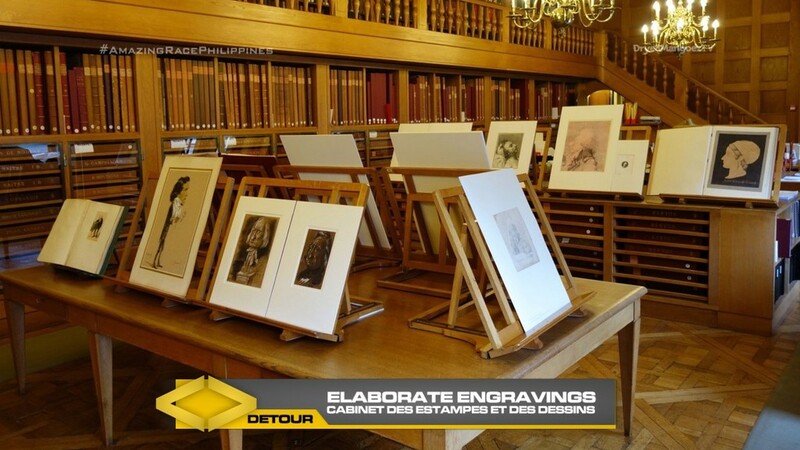 In Elaborate Engravings, teams must head to the Cabinet des Estampes et des Dessins where they must choose a classic engraving and search through stacks of replicas for a match. They must then recreate the engravings by hand. Once approved, they will receive their next clue. 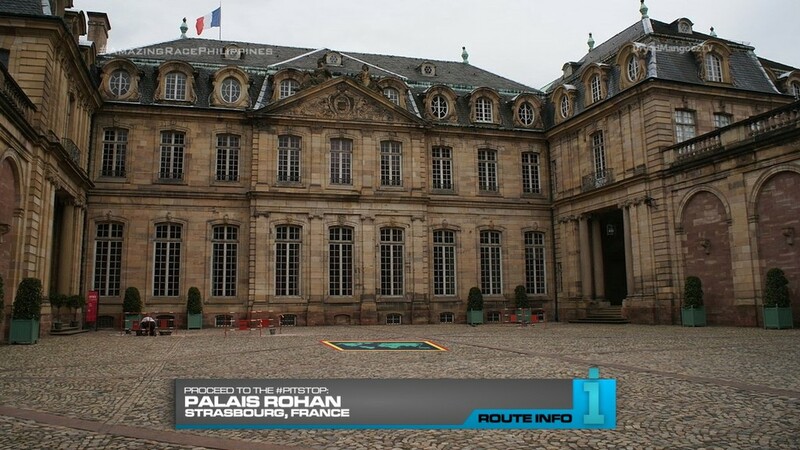 That final clue of the Leg points teams to make their way on foot to the Pit Stop, Palais Rohan. The first team to check in here will win P200,000 courtesy of the amazing Shell V-Power Nitro+. The last team to check in WILL be eliminated. A nice location which is conveniently a train ride away from Auxerre. This should be a very full Leg with absolutely no need for any kind of transportation within the city. Good or bad thing? I think it’s a good thing as it will add to the challenge for teams to run around. Location-wise, that might mean a very limited area. But I think each task is very distinct that the Leg should still look and feel very competitive. Plus, it would be fun madness to see teams passing each other and such at different tasks. We start off with the Duel Duel. Originally, the Vauban Dam was merely a Route Marker and cluebox location. But after TAR China 3‘s “anything is possible” attitude, I came up with the crazy idea of this Duel Duel. I think this could be a stunning location for the task. A nice, serene area pierced by the screams and heavy breaths of teams rappeling down the side of the dam, pulling themselves into a tunnel and rowing themselves a long distance. Should be fun craziness. And some teams will have to do this task several times! This should be a great, fun Duel Duel. The Road Block is a cultural task. Gutenberg’s printing press is certainly of historical and cultural significance. I think there are ways to make this task more challenging. But after the Duel Duel, this is a simple, yet intricate task that should be good. Also a good, easy spot for the Hazard. The Route Marker at the cathedral is a simple, straight forward extra task that maximizes the teams’ time in this beautiful area. I think there’s also other possible, more interesting tasks that could be found with a nice scouting trip. But this is fine for now. The Detour is also very straightforward, but both tasks are challenging in their own ways. 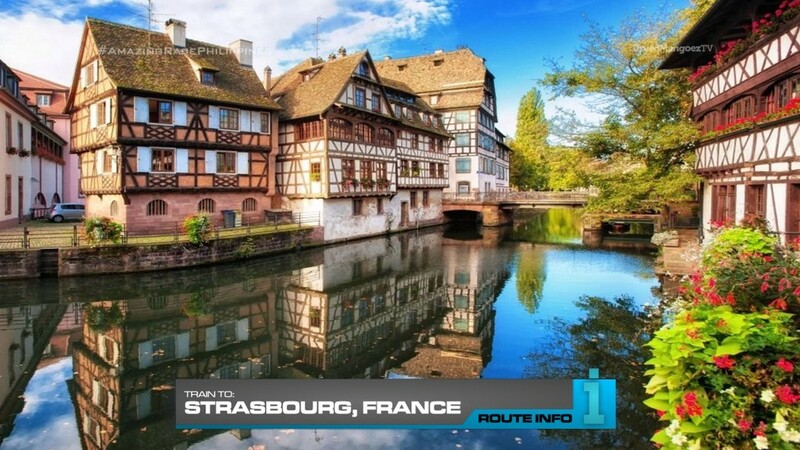 My original Detour had teams baking Christmas cookies, as a nod to the Christmas market of Strasbourg. 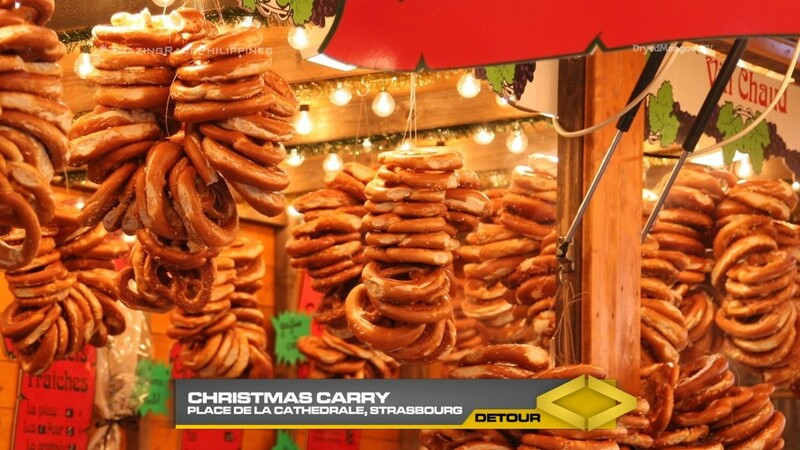 But I saw that p/bretzels are also a thing in the city and seeing pictures of them hanging at stalls and on wooden sticks reminded me of TAR Canada 4’s Road Block in the final Leg. This Detour will take that bagel delivery task and make it harder and more challenging. The engravings side of the Detour makes use of another nice location. And it’s basically a simple “search” task and drawing/creating task. The Palais Rohan is a fine Pit Stop location and of course, nearby as well. Overall, a very full Leg. Simple, straightforward tasks, but together should make for some great, exciting and fun competition in a great location. ← Recap: Kamen Rider Ex-Aid, Episode 4 – The Name of the Operation is Dash!